A bit of city, nature and sea creates many activities to experience in Perth. 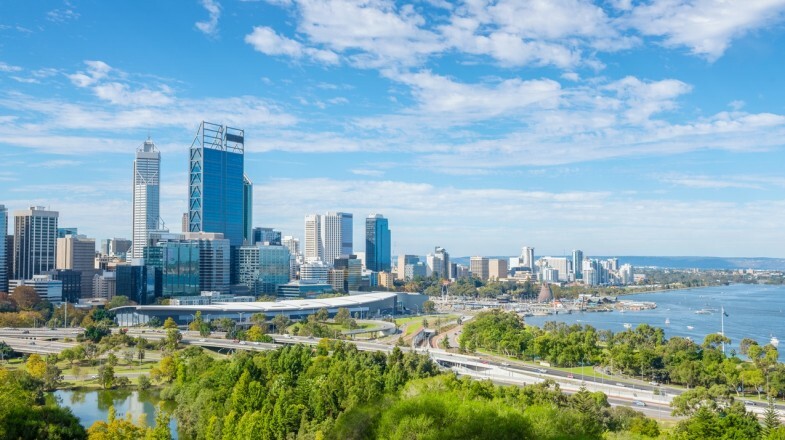 For the traveler who wants to experience it all, Perth’s combination of city, nature and ocean means it’s the ultimate destination in Australia. The western side of the city overlooks the Indian Ocean and on the other side is the infamous bushland. With such diverse landscapes, Perth is home to land and ocean wildlife species that make any naturalist swoon. Surrounding oneself with penguins, quokkas, koalas and whale sharks is just one highlight from countless things to do in Perth. 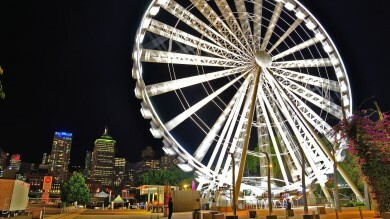 Add to that a 100-year-old farmer’s market, one of the largest parks in the world and bars and restaurants lining the pristine streets, it is no wonder 2.8 million travelers prioritize this Australian city on their travel itineraries annually. Here are our recommendations for the best Perth activities, listed below in no particular order. 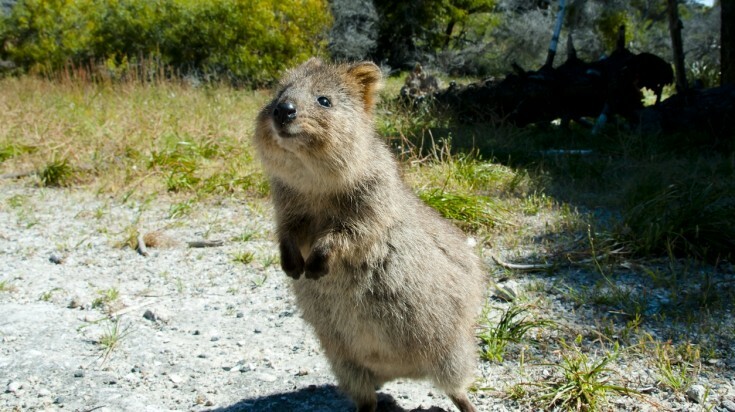 Visit Rottnest Island and encounter the quokka. Situated 18 kilometers off the coast, Rottnest Island is inhabited by the ‘world’s happiest animal’, the Quokka. Due to the diverse ecology of the island, Rottnest is one of the most protected places in the world, listed as an A-class Reserve. There are also several options for accommodation if you want to stay on the Island and explore it further. A ferry ride to the island can be found in many locations, it takes about 25 minutes from Fremantle, 45 minutes from Hillarys Boat Harbour and 90 minutes from Perth’s Barract Street Jetty. Tip: While you are not allowed to touch or feed the quokkas, getting a picture with the friendly rodents is allowed. 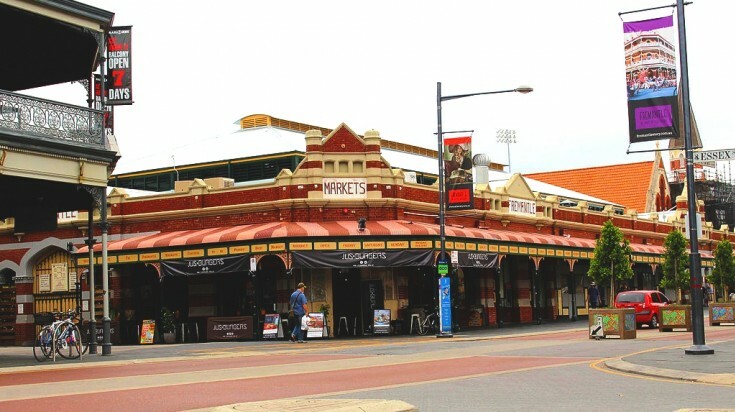 Fremantle Markets is housed in a Victorian building over 100 years old. Established during the Victorian Era as a British Penal Colony, Fremantle is a quirky port city brimming with stories from the maritime. It has the best-preserved backdrop of 19th century port streetscape. Here, you can discover Australian foods, fresh local produces, taste craft beers and live music at the Fremantle Markets housed in a 100-year old building. Visit the Fremantle Prison, known to be one of the most notorious prisons during the British Empire. Other places of interest include the Fremantle Arts Centre, that was once a lunatic asylum, Maritime Musuem and the Fishing Boat Harbour. The Fremantle Market is open Fridays, 8 am to 8 pm and from Saturdays to Mondays and during most holidays from 8 am to 6 pm. Pay homage to Bon Scott, the legendary singer of AC/DC who's grave is located at the Fremantle Cemetery. Explore Fremantle and visit all its highlights in the Discover The Culture Of Perth tour or the Convicts Era in Fremantle tour. 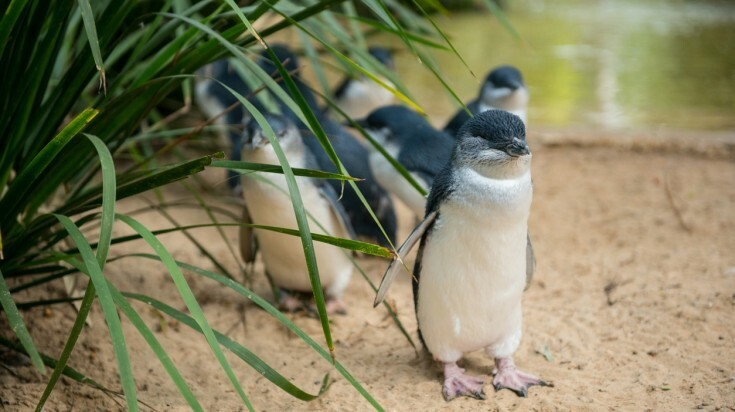 Penguin Island is home to the smallest species of penguins. During the 45-minute ferry ride from Perth to Penguin Island, it is likely you might see dolphins and sea lions. Once you are on the island, you will have the chance to see any (or all) of the 256 colonies of the smallest penguins in the world. There are also tours to see the Australian sea lion and bottlenose dolphins. Tip: You need a ticket to see the penguins which can be bought once you reach the island or booked online in advance during the holiday season. Also, check your dates, the Island is only open from mid-September to early June. After this date, the penguins start nesting and the area is closed off to visitors. Claisebrook Cove is a vibrant inner-city area located about a 15-minute walk east from Perth’s Central Business District. This pedestrian bridge located near the Claisebrook Station is a place to visit at night time. There are bars and restaurants lining the water, all illuminated by the different colored lights in the evening. It’s one of the best things to see in Perth once the sun goes down. Tip: Take a stroll with a loved one and hang a love lock at either end of the fence. Watch the sunset over the Indian Ocean when in Perth. Tick it off your bucket list. Perth has some of the most beautiful sunrise and sunsets over the horizon. 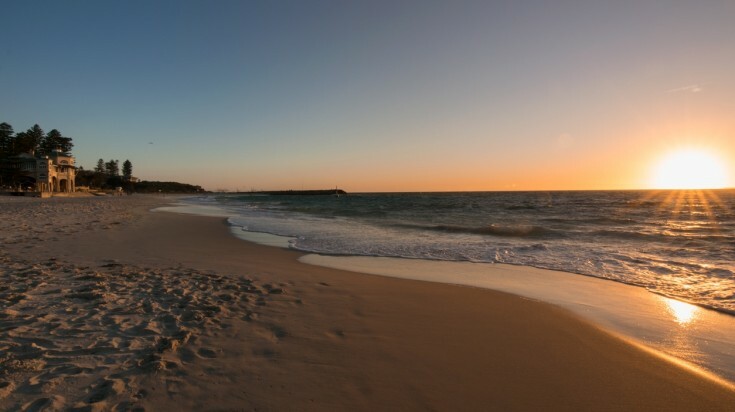 The best places to start and end your day are at Waterman’s Bay Beach, Hillary’s Boat Harbour, Crawley Edge Boatshed, Kings Park and Swan River. 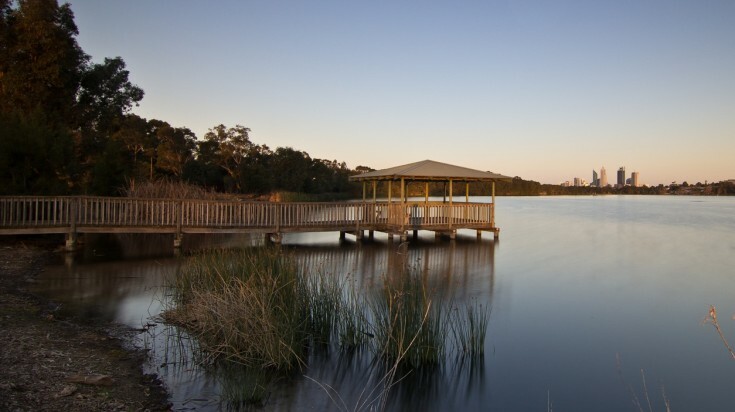 Tip: The Swan River is your best choice when it comes to a quite location away from the city crowds. 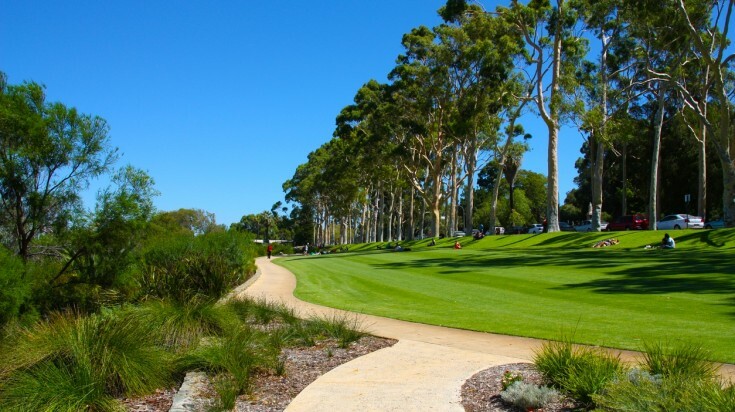 Enjoy the lush greenery of King's Park. King's Park is also home to botanical gardens. Larger than the famous Central Park in New York City, King’s Park is home to lush grassland, botanical gardens and bushland. As one of the largest parks in the world, it spans 4 square kilometers. 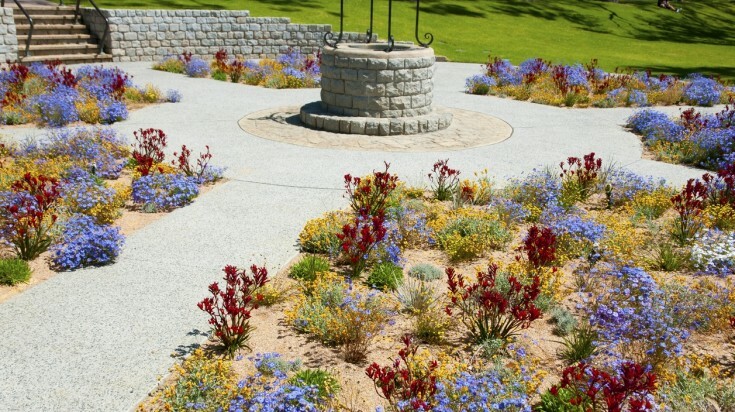 Located on the western edge of Perth’s Central Business District, the main sites in the park are the State War Memorial, the reservoir and the plaques commemorating Western Australian service members who fought in World War I and World War II. The park also includes botanical gardens, walking trails around the park and playgrounds for children. Tip: Climb the spiralling DNA tower to get a view of the park, Swan River and Rottnest Island. Spot the Black swans that reside in Lake Monger. 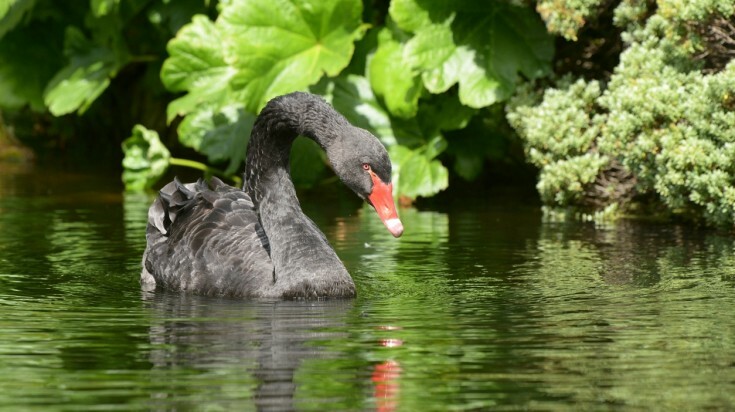 Over 12,000 tourists visit Lake Monger per week during Perth’s peak season from September to November, all for a good reason — the allure of the famous black swans. The lake is a popular spot for more than just bird watching (pelicans and spoonbills can also be seen) as many locals use it for recreational purposes. Tip: Stay away from the birds’ nests as swans and other water birds are known to get aggressive when you get too close. Ready for your koala fix? This is the place to get it. One of the many fun things to do in Perth is to visit the Caversham Wildlife Park. 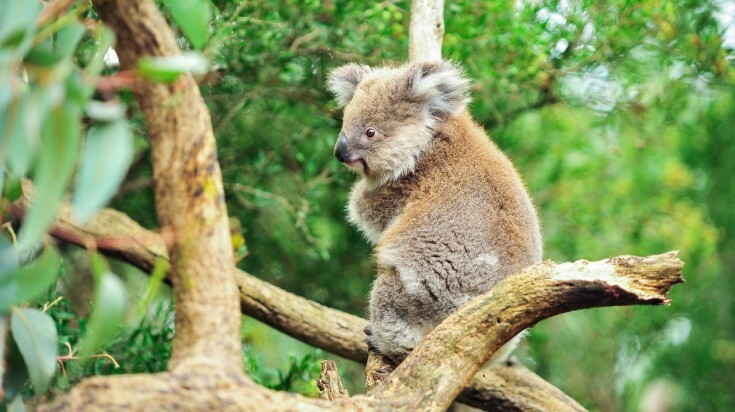 Open year-round, except for Christmas Day, Caversham Wildlife Park has daily attractions like farm shows, koala and penguin feeding, and excursions to Kangaroo Enclosure, Reptile House and Molly’s Farm. Also, get up close and personal with other furry friends including wombats, wallabys, quokkas and kangaroos. Tip: The best time to visit is during the morning as most exhibitions close at 3pm. 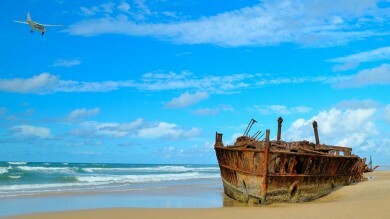 The most important thing to consider when planning a trip specifically for the best places to visit in Perth is time. With so many diverse activities and sites, it is a city that is best explored in a week, although with good planning you could check off many of these activities in a few days.